A federal court recently dismissed a case filed by a patient alleging a laboratory violated HIPAA by failing to shield from public view her personal health information displayed on a computer intake station. The ruling once again reaffirmed a longstanding precedent that individuals cannot file a lawsuit, known as a “private cause of action,” for alleged HIPAA violations. The June 15 ruling by a U.S. district court judge in Washington, D.C., also noted that the plaintiff in the case, Hope Lee-Thomas – who is listed on court documents as representing herself in the lawsuit – also failed to respond to a motion by LabCorp, the laboratory she had sued, to dismiss the case. “Time and time again, courts have said there is nothing in the statutory language [of the HIPAA rules] allowing private individuals to bring private action for HIPAA violations,” says regulatory attorney Elliot Golding of the law firm Squire Patton Boggs. For instance, in situations, such as a health data breaches, in which individuals’ personal information is compromised, resulting in alleged identity theft or fraud, individuals can pursue lawsuits seeking relief for damages. But generally in those situations, even if multiple HIPAA violations were involved – such as an entity failing to conduct a security risk analysis and mitigate identified risks – the focus of the private action lawsuit is typically on an organization’s alleged negligence and other claims that led to individuals being harmed by the breach, legal experts note. For alleged HIPAA violation cases, the Department of Health and Human Services Office for Civil Rights and state attorneys general are the only parties that can bring legal action, Golding notes. Privacy attorney Iliana Peters of the law firm Polsinelli points out, however, that individuals can file legal action under many state laws. “It’s extremely important to note that although HIPAA does not have a private right of action, many state laws require entities, both healthcare entities and others, to implement HIPAA-like protections for consumer data, and have stiff penalties,” she says. All 50 states now have data breach notification laws, she notes. “As such, I think there are more than sufficient remedies for individuals under state law, which seems the most appropriate place for private rights of action,” she says. The biggest issue in many cases has been whether plaintiffs can prove harm following a privacy or security incident, Greene points out. Court documents indicate that Lee-Thomas was a patient at Providence Hospital in Washington, D.C., on June 15, 2017, where she received treatment from LabCorp. Lee-Thomas was instructed by a LabCorp technician to submit her medical information using an on-premises computer intake station that was allegedly in close proximity to another intake station, the document says. “When Ms. Lee-Thomas realized her health information was being disclosed within eyesight and earshot of another patient, she informed a LabCorp technician of the violation and photographed the two stations in question,” the court document notes. On July 3, 2017, Lee-Thomas sent a letter to Providence Hospital informing it of possible HIPAA privacy violations, and then filed a complaint with the HHS OCR and an additional complaint with the District of Columbia’s Office of Human Rights citing LabCorp’s alleged failure to make proper “public accommodations” by maintaining non-HIPAA compliant facilities, the document notes. “Both of Ms. Lee-Thomas’ administrative complaints were unsuccessful. HHS on Nov.15, 2017, informed Ms. Lee-Thomas the agency would not pursue her claim … On Nov. 28, 2017, the DC OHR alerted Ms. Lee-Thomas that her complaint was similarly dismissed based on her failure to state a claim,” the court document notes. “LabCorp’s alleged HIPAA violation is the only cause of action Ms. Lee-Thomas has included in her case. 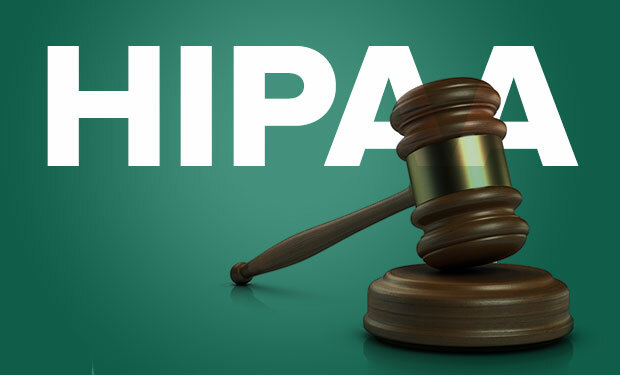 Given the statutory language and the clear consensus among courts that have addressed the question, no private action exists under HIPAA, and accordingly, Ms. Lee-Thomas has failed to state a claim upon which relief can be granted,” the ruling says. Despite the dismissal of the Lee-Thomas HIPAA lawsuit against LabCorp., healthcare organizations should learn from this case, Peters notes. Golding also notes that even if statutes allowed individuals to take private legal action in HIPAA cases, he’s not certain the allegations against LabCorp. about failing to shield medical information from being visible at intake stations in close proximity would even be considered a violation of HIPAA. LabCorp.’s attorney handling the case did not immediately respond to an Information Security Media Group request for comment on the case. Efforts by ISMG to contact Lee-Thomas were unsuccessful.